First off, this is too far away from April 1st to be a joke. It is in fact a real product. 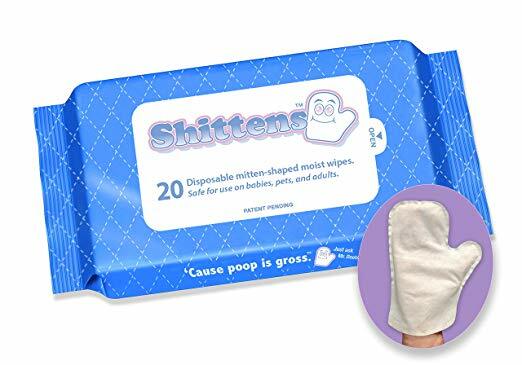 I’m not Shitten you, Shittens are for sale on Amazon. These moist wipes are in the form of mittens and are marketed for use on babies, pets, and adults. I guess I understand 2 of the 3 uses. Their tag line is “Cause poop is gross” – I agree.